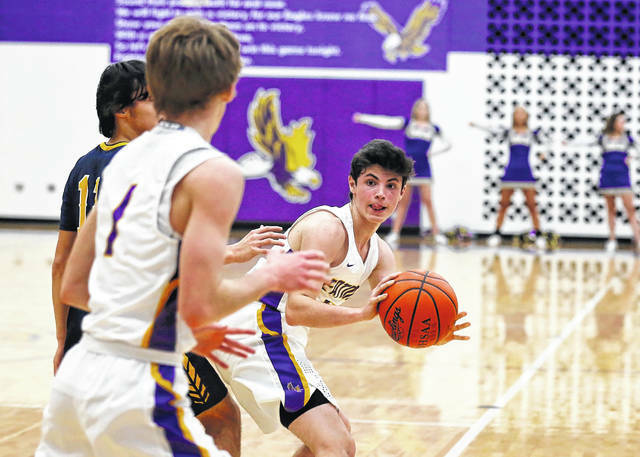 Eaton’s Travis Pittman (right) looks to pass to teammate Isaac Manning during the Eagles game with Oakwood on Friday, Jan. 18. 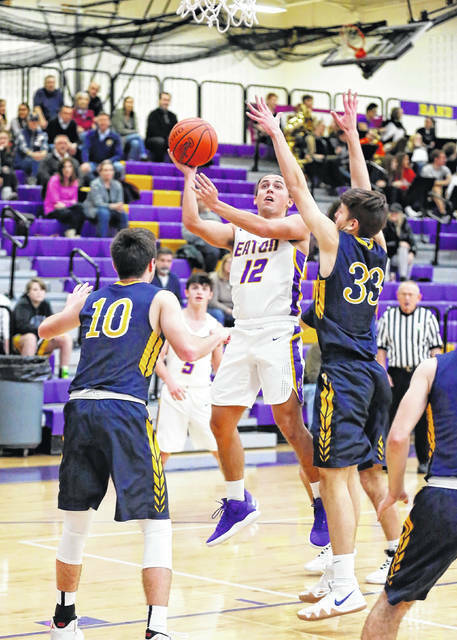 Pittman paced the Eagles with 18 points, but Eaton fell short 70-57. 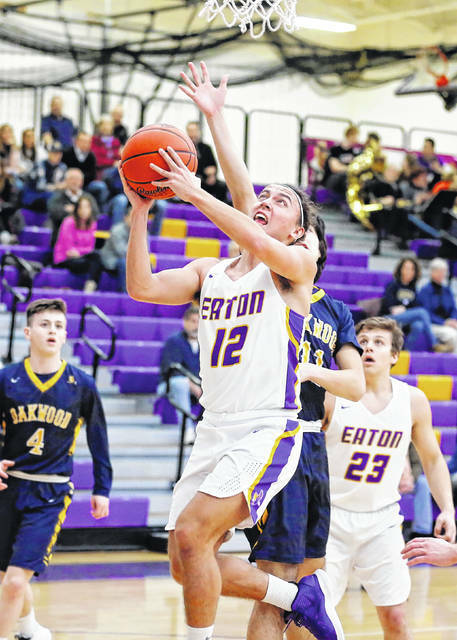 EATON — Eaton’s varsity boys’ basketball team fell behind early in its match up against Oakwood on Friday, Dec. 18 and never recovered as the Lumberjacks posted a double-digit win. The Eagles found themselves down 23-13 at the end of the first quarter and 35-21 at halftime. 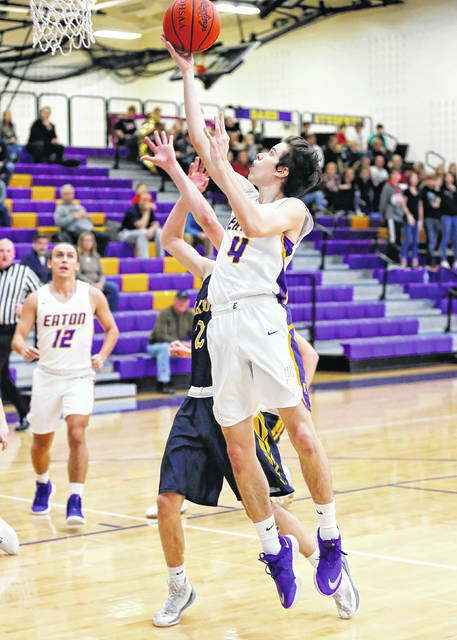 Eaton played the Lumberjacks even in the second half, but was not able to make up the early deficit. 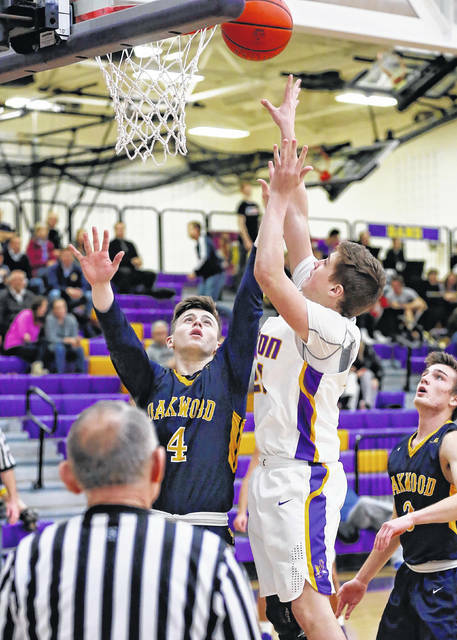 Oakwood posted a 70-57 win. Sophomore Travis Pittman led the Eagles with 18 points and four rebounds. 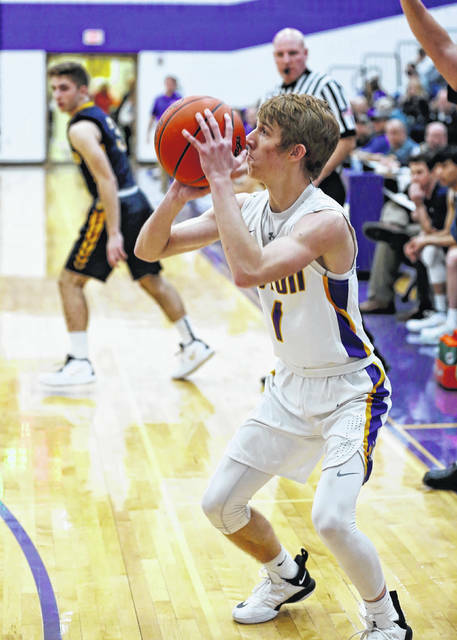 Senior Isaac Manning added 10 points and four assists. Junior Dylan Jackson contributed 10 points. Senior James Howard chipped in eight points. He also has five rebounds and four steals. Sophomore Cameron Lewis scored six points and had three rebounds and senior Owen Baumann had five points and a team-high seven rebounds. Eaton, which has lost three straight, is now 4-11 on the season and 2-6 in the Southwestern Buckeye League. They are scheduled to travel to Monroe on Friday, Jan. 25 and then to Tippecanoe on Saturday. 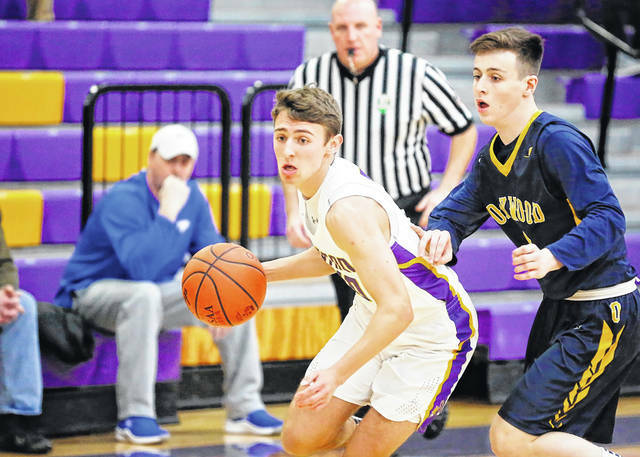 https://www.registerherald.com/wp-content/uploads/sites/41/2019/01/web1_EATON-VS-OAK-2.jpgEaton’s Travis Pittman (right) looks to pass to teammate Isaac Manning during the Eagles game with Oakwood on Friday, Jan. 18. Pittman paced the Eagles with 18 points, but Eaton fell short 70-57.